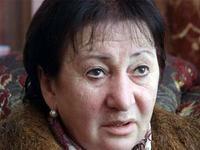 The leader of South Ossetia opposition, ex-candidate for the President of South Ossetia Alla Dzhioyeva declared to reporters that she had appointed the day of her inauguration on February 10th 2012. “I address to the acting President of South Ossetia Vadim Borovtsev and ask to delegate me the power in civilized way”, - said Dzhioyeva. She underlined that the inauguration shall take place in Tskhinvali in any case, even if the authorities won’t assure her required conditions. November 27th 2011 South Ossetia held the second round of Presidential Elections, which included the Head of Emergency Situations Ministry Anatoli Bibilov and ex-Minister of education Alla Dzhioyeva. Summarizing the results the Central Electoral Committee reported that Dzhioyeva won with 16% of advantage. Afterwards the Supreme Court of South Ossetia received a claim from the party “Edinstvo” (Unanimity) which represented the interests of Bibilov, for serious violations by the upholders of Dzhioyeva. On November 29th having considered the claim, the court acknowledged the elections as failed. The same day the Parliament appointed repeat Presidential elections on March 25th 2012. Having disagreed with this decision, Alla Dzhioyeva announces herself as elected President, formed State Council, and her supporters occupied the central square of Tskhinvali. Confrontation of authorities and the opposition lasted till December 9th, when then acting President of South Ossetia Eduard Kokoity and Dzhioyeva reached an agreement on regulation of the situation in the country. The next day Kokoity announced his resign and delegated his authorities to the Prime Minister Borovtsev. Opposers left the square and Dzhioyeva shall be able to participate in another Presidential elections on March 25th. However on January 18th Dzhioyeva declared that she recalled her signature under the compromise agreement with Kokoity, reached December 9th and demanded delegation of authorities to her as legally elected President, reported “Interfax”.